Hilti, a manufacturer of construction tools, noticed that when tools break contractors can't finish their jobs on time. Hilti realized that contractors don't bring in money by owning tools, they make money by using tools to get their job done as efficiently as possible. So Hilti developed a business model where contractors pay a fixed monthly fee for a fleet of tools. 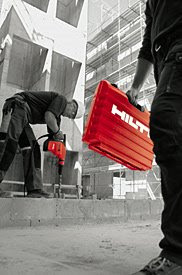 Hilti replaces or repairs any broken tools and upgrades all the tools when the usage period is over. Contractors can select the type and quantity of tools they need. As a result, contractors have a streamlined cost structure for tools and are more productive because of consistent high tool quality. Additionally, Hilti has incentive to build a more sustainable, long lasting, high performance product.